We specialize in data transmission systems, consumer electronics, low voltage devices and research in high speed precision metal molding. Our research capabilty exceeds more than 300 product categories each year. Through DFMEA and PFMEA analysis we are able to launch new products that meet the standard of the market and entail competitive avdvantages for our customers. 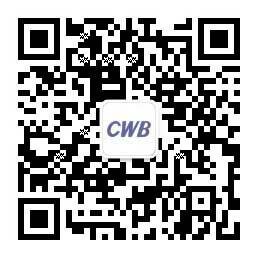 CWB specializes in automotive electronics, electronic connectors, low voltage circuit breakers. We promote research in the field of high precision molding, joint large inserts and small pin frames. We are equipped with complex multi cavity tools that allow us to produce high precision molding parts. We use high precision machinery such as Husky, Gunther, Masters, Misumi, Meusburger, HASCO to ensure high-end quality of our products. Many years of experience in developing and designing high precision molding tools. According to the industries best practices we are using state of the art analyzing and designing software. CWB is developing new designs for inserts, small pin frames and multi-lumen frames and other injection molding products as well as stamping die products. I order to procure high-quality products, we use most advanced high precision molding equipment production techniques, like wire eroding, electric discharge machining, high speed milling, optical profile grinding or jig grinding.